Put Your Pen Down, Mr. President and Get to Work! I thought Barack Obama’s State of the Union address was contrived and full of grandiose rhetoric in 2013; however, that will pale in comparison to what we hear in this month’s SOTU address. Why? Quite simply, nothing the President ever says or promises becomes a reality. He had now prefaced his upcoming speech with “I have a pen and I have a phone” in which to get things done [because Congress is the problem]. 1) “Together we have cleared away the rubble of crisis and … the state of our union is stronger.” Really! We have the highest level of poverty, higher number of people out of the job market, and highest number of people on food stamps than ever before. Is this your idea of a strong economy? 2) You said “We should ask ourselves as a nation: How do we attract more jobs to our shores.” One answer would be to resolve the problem of the millions of good-paying jobs that have been lost during your Administration. Your have used your pen, your failed Obamacare law and your thousands of EPA regulations to completely eviscerate any gains that might have come about as a result of spending billions of dollars on “stimulating” the economy. If you truly meant what you said, you would use your pen and the power of your office to approve the XL pipeline from Canada, which has the approval of 69% of our Senators and every Governor along its proposed path, putting thousands of people to work in good-paying energy jobs and you would lift the strangehold of those EPA regulations which are keeping companies cash-strapped and unable to produce any new jobs in their industry. Get your foot off the throats of energy companies! 3) You were going to create three more urban manufacturing hubs and ask Congress to create a network of 15 of these hubs for the “next revolution in manufacturing right here in America.” How’s that working out for you since more and more urban cities in America are in or approaching bankruptcy? We have the highest corporate tax rate at present and coupled with these regulations I’ve mentioned, there will be no additional manufacturing until you stop your insanity. 4) How do we equip our people with the skills to get… jobs?” One method might be to stop “giving” welfare and other entitlements to people in exchange for staying home and not looking for work. Require drug tests and require completing additional schooling as a requirement of getting entitlements. Missing from the 2013 State of the Union and most assuredly the 2014 SOTU speech will be any mention of the many failures of this Administration in the foreign policy arena that have put America’s state of the union in jeopardy. The reason is quite simple. You do not have a record of accomplishment in this area and in fact your apologetic and appeasement policies concerning America’s power and standing in the world have made you look like a bafoon in this area. You are also afraid that should you mention foreign policy, Americans will continue to bring up the fact that you and the Secretary of State were directly responsible for the deaths of 4 Americans in Benghazi because you failed to provide security to them as requested. Your positions on defending Israel, taking away Iran’s ability to produce a nuclear weapon and helping the millions of people suffering in Syria, are also deplorable. Frankly, millions of Americans are poised to watch the 2014 State of the Union not to hear “hope” from you any longer. They will be watching you make a fool out of yourself once more. They will be counting and pronouncing your failures and lies once again. They will be hoping that the Supreme Court Justices and military commanders that usually witness this speech don’t come this year and bear witness to your criticisms, lies and disdain for them. You are a failure as a President and a Commander-in-Chief and it would behoove you to be humble, contrite and truthful to the America people in the 2014 State of the Union, but you won’t–you can’t help yourself! Obama’s State of the Union Speech More Appropriate for February 2 (Groundhog Day)! I fear, as in the movie ‘Groundhog Day” we are destined to relive his speech over and over again until he gets it right or until the electorate gets it right and votes Obama out of office. Three million jobs have been created over the past 22 months. According to the Administration’s own labor statistics, 1.7 million jobs have been lost over the same period since he was sworn into office. His Administration saved the auto industry and GM is once again the world’s #1 producer of automobiles. The truth remains that last year GM sold an estimated 9 million vehicles worldwide, a number that includes sales of manufacturers in which GM holds minority investments such as in China. Volkswagan and Toyoto would be the first to challenge Obama’s claim as holding the sales title should their numbers include figures from Scania and truck makers like Man. As for Toyota, their 2011 sales haven’t been reported for the full year and their estimate is that sales will be down by 7.9 million units as a result of the natural disasters and tsunami experienced in Japan and Thailand. Should Toyoto include Wuling sales they will outperform the new GM. As with the employment figures in the U.S., if the numbers don’t support your position, just change the base until they do. “What’s happening in Detroit can happen elsewhere!” May God forbid this will come to pass. Detroit has been transformed into a ghetto as the result of liberal, Progressive, Democrat Government over four decades. This once proud city with a population making it the 4th largest in the nation in the past has degraded into a wasteland and now occupies 18th position in the nation. The intercity population has fallen to under 800,000 and is surrounded by decay and a failing infrastructure, and vacant buildings and home line the city’s neighborhoods and provide a magnet for crime. This area has a 28% unemployment rate under Obama. Once known as the “Motor City” and the “Capital of Democracy”, it acquired the title of “Murder City” in the 1980s and has continued its rapid degradation since then. If Detroit provides Obama’s vision for this nation, something is radically wrong with our President’s vision. “Oil production in America is the highest it has been in 8 years.” I recall reading an article indicating this increase amounts to less than 2 million barrels a day. The existing capacity to produce is somewhere between 10 to 20 million barrels per day if it were not for the onerous Government Regulations stifling production. His statement that he has directed Defense Secretary Leon Panetta to purchase eco biofuel for the Navy once again provides a subsidy to an industry that cannot compete in the free market environment. Official estimates are that this biodiesel will cost the American taxpayers up to 38% more than diesel fuel derived from crude oil. His subtle accusation that Congress is not doings its job in comparison to our military completing its mission in Iraq and Afghanistan shifts the blame to others for his lack of leadership. Stating that every American must do and pay their fair share and play by the same rules is pure class warfare and anti-capitalism. His statement that over the past decade, the rich have benefitted and the poor have suffered due to a tax structure having rates that favor the rich is a distortion of the truth and blatantly false. An individual having $1 million earnings from investment pays tax at a rate of 15% or $150,000 on those capital gains. This is over and above the original 25-36% they paid on their investment when taxed as wages. That amounted to between $250,000 and $360,000 paid in taxes on those investment dollars. When Obama compares the total $400,000 to $510,000 paid n investment income to Warren Buffet’s secretary paying 28% on $50,000 income, or $5600, the distortion becomes ridiculous and not worthy of our President. Following his pledge to open 75% of Federal lands and offshore regions for energy production, he qualified the promise by stating he would not walk away from his promise of clean energy and development fo safe energy. He avoided any mention of the Keystone XL pipeline in his remarks and took refuge behind the “BP horizon” incident in the Gulf of Mexico. In one breath he advocated smaller Government and less regulation when in the next he advocated appointment by executive fiat three new agencies composed of a “trade enforcement unit,” “executive order to remove red tape for infrastructure projects ” and creation of a special unit in the Justice Department to investigate financial crime, sounds like growing the Government and more regulation to me. His call for “comprehensive immigration reform” came against a statement that our southern borders are safer and more secure than ever. A claim heavily disputed by Arizona, Texas and New Mexico. Although not mentioned by name, his proposed reform smacked with elements of the “Dream Act” or amnesty for the children of illegals presently here in America. The only positive to be found following the President’s address was the focus groups composed of Republicans, Democrats and Independents are no longer swallowing Obama’s rhetoric. During the 2010 mid-term election “We the People” made our voices heard loud and clear. Returning to the principles embodied in the Declaration of Independence and the limits of government defined in our Constitution is imperative in this Republic is to survive while individual freedom to prosper is the opportunity provided for every American. When two-thirds of Americans believe this country is on the “wrong course” under the Obama Administration, it is their duty in the upcoming 2012 election to change course by removing that Administration and replace it with individuals dedicated to protect and defend the Constitution of the United States of America. During the State of the Union address, our President championed investment in our infrastructure. If my memory serves me correctly he requested and was given $1. trillion for shovel-ready projects by Congress for infrastructure rebuilding and to keep unemployment under 8.0%. It would appear that our President has a very short memory and in addition owes every American an accounting as to how the $1 trillion was spent. After all, he is supposed to be the leader of the most transparent administration in our entire history. I could not help but equate his speech with the movie “Ground Hog Day.” He kept repeating the same litany of promises we have heard over and over again since his campaign for President in 2008. The biggest joke was his pledge to veto any legislation containing “earmarks” that came to his desk – even Joe Biden cracked up by that broken promise. Predictably he attempted to change the language to show he had moved to the center with his policies to govern. New legislation will now be a “shared responsibility” following the massive Democrat defeat during the 2010 mid-term election. When did the Democrats and his administration ever take responsibility for the damage done to this Republic by their control for the past two years? It seems to me we have “heard the song before” with regard to “reforming the Government,” “investing in clean technology,” “reinventing our energy policy.” What energy policy? I could go on for pages scutling almost every hollow statement he made during this pathetic attempt to make Americans believe the recession has ended and America is on a path to economic recovery. President Obama failed to acknowledge our Government has a spending problem and not a revenue problem. This State o f the Union address failed to meet the Constitutional requirement to truthfully advise Congress and America on the general health and welfare of the Nation. In essence, there was no substance to his address and at best it was a poor campaign effort on his part. America expects and deserves more from all of our elected Representatives and especially our President! On January 25, 2011 Barack Obama will stand before a joint session of the 112th Congress and address them and the Nation, reviewing the accomplishments of his Administration and the 111th Congress, indicating that they saved the United States of America from the “brink of economic and financial disaster.” Among the praises he will bestow on his Administration will be passage of a stimulus that saved or created millions of jobs under his leadership, legislation that provides government-run health care for 30 million previously uninsured Americans, and saving the American Automotive Industry through forced bankruptcy of General Motors and Chrysler Corporation which in essence nationalized these industry giants at the expense of the shareholders, bondholders and creditors. He will praise the ratification by the Senate of the arms reduction “START Treaty” between Russia and the United States. He will attempt to label these achievements as bipartisan, when in fact they are the result of a liberal, progressive-dominated House of Representatives and Senate that has legislated against the will of the people since 2006 when they achieved the majority in both houses of Congress. The message delivered by Barack Obama will stress the need to suppress uncontrolled spending in Congress and fiscal responsibility. Don’t be fooled by his apparent move to the Center. Words are just words and Obama has no compulsion to tell the truth. Only his actions show his true motives and after two years we know where those motives are rooted. Our Government tells us unemployment is somewhere between 9.6 and 9.8% and appears to have bottomed out. We know the real number is approaching 18% when those who have exhausted their benefits and dropped from the rolls and are no longer counted. Additionally, new claims for benefits continue to reflect no improvement in private sector hiring taking place across the nation. The Nation’s debt is rapidly approaching $14 trillion and the existing limit will have to be increased in order to meet current obligations with spending requiring $.40 borrowed for every $1 spent by the Government. This situation is unsustainable and the Administration has no plan to reduce the debt nor the trend to stop borrowing. Our Government would have us believe that inflation is non-existent. They calculate the CPI excluding the cost of energy and food which have increased at a rate of 5-7% annually for the past 5 years. Just ask those Americans that live on fixed incomes what the impact of our non-existent inflation has had on their lives. Health care costs are skyrocketing due to “Obamacare.” Companies are incurring 20-30% increases in their premiums and seniors are seeing the first wave of rationing of services and the exodus of doctors participating in Medicare and Medicaid programs. The Dollar is on the verge of collapse and is being challenged as the world’s reserve currency. The unrestrained printing of currency by the Fed will ultimately create hyper-inflation and forever alter the standard of living for every American. The United States has no cohesive energy policy to counter the Middle East oil cartel’s stranglehold on our economy. Energy independence is a must if our Republic is to survive. Government regulation by various agencies usurps the Congressional balance of power and jeopardizes the very security of our nation. There is no recognition in our Constitution for Czars appointed by the President. Federal tax polices are anti-business and current corporate tax rates are the second highest in the world and have forced industries to look outside of the United States to invest and hire workers. Illegal immigration along our southern border poses a major threat to our national security. Our Federal Government refuses to enforce existing immigration laws in favor of amnesty as a short-term fix to the problem. The housing crisis looms heavily and Government-sponsored programs to provide home loan modifications are a joke. Today 5 million homeowners are 60-75 days delinquent with 1.2 million foreclosures forecast for 2011. Banks will not loan money for new construction without requiring down payments approaching 40%. They delay underwriting requests for modifications in the anticipation of foreclosing and pocketing late fees until foreclosures may be executed. The Government continues to function under Continuing Resolutions and has not yet provided a Budget for the current fiscal year. What business would be allowed to function under these circumstances? We have spent $787 billion in stimulus dollars with no improvement to our economy and easing of the unemployment situation in America. Jobs created or saved as reported by the Administration is a sham. Lastly, the nuclear disarmament treaty with Russia weakens our defenses in light of Iran and North Korea’s programs for nuclear dominance in their sphere of influence. Where is and what is our policy to enforce the promise by the Obama Administration of a “no nuclear Iran?” What level of extortion will we pay to North Korea to restrain their nuclear initiatives? No doubt the Obama speech writers are burning the midnight oil looking for the words to turn lemons into lemonade” and the proper adjectives to best describe “The State of the Union, ” a single word that will be reflected from the teleprompter through Obama’s eloquent delivery to take its place in history. For me, the proper word, one which he dares not utter, is “devastated.” In my entire life, spanning three score and ten years, I cannot remember a litany of problems equal to that I have listed in this blog. The issues (problems) are the result of the electorate swallowing the hollow promises of the liberal Progressives clamoring for power to govern over our great Republic. The problem rests in the election of a President, unqualified to fulfil his office who has expressed disdain for our Constitution, the very document he has sworn to protect and defend. I pray God will guide and lead the new 112th Congress in their initiatives to reverse, suspend and ultimately eliminate the damage done to this Nation by the Obama Administration and the congresses that preceded them. During the 2010 elections “We the People” have spoken and made our desire for returning to the principles embodied in the Constitution and limited Government crystal clear. We must assure our elected representatives do not stray from this course to restore a truly representative Government! Last night the American public witnessed 70 minutes of President Obama attempting to deflect responsibility for our dismal state of the union from his policies and agenda to any entity he could remotely indict. Wall Street, big banks, big oil, the prior administration and even Congress were all in the cross hairs for his attacks. In the most partisan speech in memory for “The State of the Union”, he asserted that his agenda was stalled by Republican opposition in spite of the Democrats possessing an overwhelming majority in Congress. He further asserted that his stimulus legislation had saved over 2 million jobs in state and local government which would have otherwise been lost if not for the stimulus plan. His failure to acknowledge the private sector and the free enterprise system’s role in stimulating this economic, save for a new jobs bill (Stimulus 2) that would make $30 billion available in credit to small businesses, ignores the fact that Government does not create jobs but is more spending on the part of Government with money we don’t have. The President’s assertion that his administration has not raised taxes a single dime completely ignores the expiration of the Bush tax cuts due to increase all of our taxes in 2011. Obama remains steadfast in the assertion that his health care reform, cap and trade, green energy and jobs legislation are the only route to fiscal reform and future prosperity. He is either deaf to the priorities of the people, totally incompetent or a devout marxist intent of fundamentally changing America from a representative Republic to a socialist dictatorship. In so far as fiscal responsibility is concerned, his proposed freeze on discretionary spending is laughable. His attempt to compare this initiative to the american family budget fell flat as he stated “That’s how the budget works” and “We will begin next year.” That’s not how family budgets work; we stop spending NOW. In the interim his message is spend, spend and spend some more. Obama’s arrogance was on full display as he chastised the Senate for voting against forming a bipartisan commission to make recommendations for economic recovery and asserted their irrelevance by issuing an executive order to do his bidding anyway. The most egregious insult to our Constitution and the balance of powers came when he chastised the Supreme Court’s recent decision with regard to campaign financing. I, like most Americans, are sick and tired of listening to President Obama’s campaign rhetoric. The most disingenuous statement he made last evening was with regard to Republicans having any ideas for health care reform. He said “Just let me know….” He is open to any ideas. Well, where has he been for the past eleven months? I seem to remember a Republican Bill that was blocked from coming to the floor that contained such radical ideas as tort reform, making insurance available across state lines and allowing small businesses to co-op and buy insurance at preferential rates as do the big corporations. We witnessed a stubborn, arrogant man lecture every conceivable private and government body he could for the deteriorating state of the union. He presented nothing new in the form of a plan save more Government intervention in the economy and continued spending at the heightened 2010 levels. Lee Iacocca adopted a management philosophy that said “Lead, Follow or Get the Hell Out of the Way!” I believe it’s time for Washington to abandon the Obama agenda and return to free enterprise principles, and then Get the Hell Out of the Way! 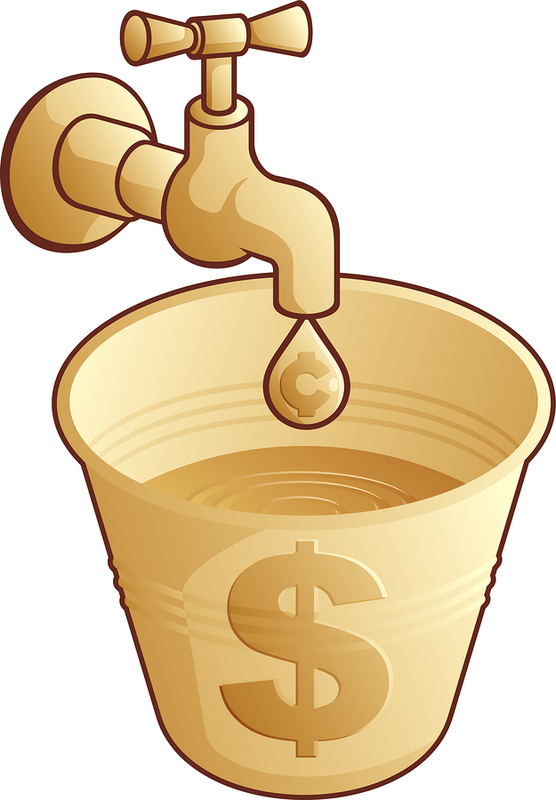 Obama’s Freeze on Discretionary Spending is Just a Drop in the Bucket! According to the latest CBO projections, the Federal Budget for FY2010 will reach record spending of $3.5 trillion. The deficit for the budget year will be $1.35 trillion and require Congress to increase the national debt ceiling once again from 12.3 trillion to 14.2 trillion. Tomorrow evening President Obama is expected to announce a freeze on discretionary spending on approximately 17% of the national budget, that portion of the budget being equal to approximately $595 billion. His proposed spending freeze is forecast to result in reductions of between $10 to $15 billion per year for the next three years. According to the “Debt Clock” we are currently paying about $140 billion in interest annually on the $12.3 trillion debt, meaning the proposed spending cuts will fund about 10.7% of the interest bill on the national debt. Congress and the the President just don’t seem to get the message. Each and every bill they pass is loaded with earmarks and pork akin to fleas on a dog, sucking the life blood from us. The 2009 Omnibus Spending Bill, signed by President Obama, contained 9,287 pork projects, costing the American taxpayer $13 billion, and when combined with 2,617 previous budget earmarks, cost us $28.9 billion. When President Obama, Nancy Pelosi and Harry Reid were asked what happened to their campaign pledges to go over the budget “line by line” and cut out the pork, they responded that these programs were left over from the Bush Administration and therefore could not be cut. If my memory serves me correctly, the Democrats controlled Congress and therefor spending beginning in 2006 not 2009. So please, don’t be fooled by Obama’s political rhetoric that his proposed spending freeze will “bend the curve” and reduce the national debt. He could show real leadership by insisting on an across the board Government spending cut of 5% that would generate $175 billion per year and stop the increased interest on our debt while reducing the principal at the same time. This is what businesses and individuals must do and do implement during economic downturns. Why is our Government any different? Extend the Bush Administration tax cuts to provide more disposable income to families and small businesses and increase consumer confidence. Establish a National Energy Policy that encourages domestic exploration, offshore drilling, expansion of distribution for natural gas, shale oil extraction, geothermal and nuclear power generation, all activities aimed at energy independence and ultimately infusing up to $10 trillion annually into our economy. Provide tax incentives for small businesses. Incentives for research in cost effective solar and wind generated power systems. These are the initiatives our Government should and must sponsor if we are to quickly return to economic growth, increased tax revenues, provide for our national security and long-term prosperity. Fuel the free enterprise engine, as opposed to stifling ingenuity and imagination with onerous regulation and and taxation. This is the real path to prosperity and a lasting legacy for those responsible for leading the way.